Vehicles considered for our Family Vehicle Best Buy award must offer comfortable cabin accommodations, ample cargo space, respectable fuel efficiency, and strong value for the dollar. 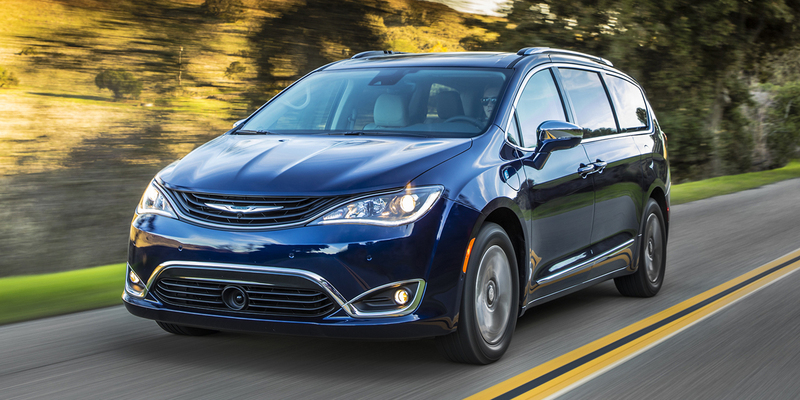 The Chrysler Pacifica, which debuted as a 2017 model and undergoes some minor trim updates for 2019, is the winner of the Family Vehicle Best Buy crown for the third year in a row. 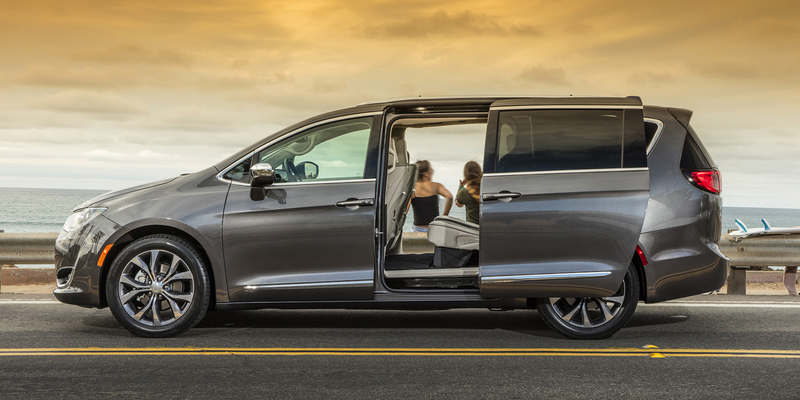 Minivans are natural champs at hauling kids and lots of gear, but the Pacifica goes above and beyond class expectations by offering a roster of comfort and convenience features that are simply unmatched by rival minivans… or, for that matter, any other family-vehicle competitor. 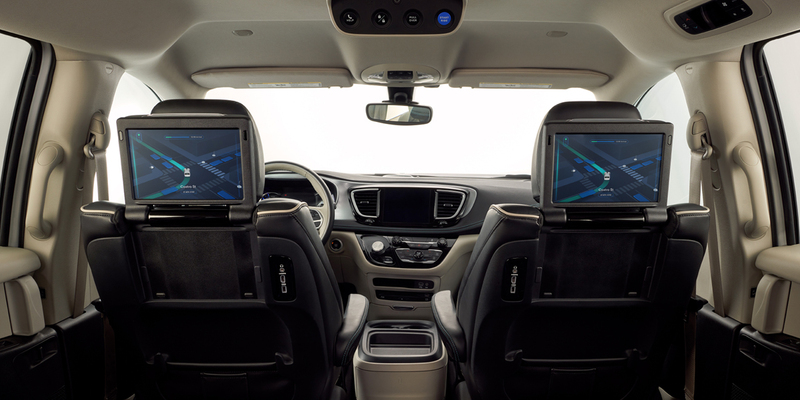 The Stow ‘n Go collapsible second-row seats have been the Chrysler minivans’ traditional trump card, and they’ve been made even better in the Pacifica. The “Easy Tilt” feature enables the seats to tilt forward for easy access to the third row—even when a car seat is installed. The Stow ‘n Go Assist feature powers the front seat forward at the touch of a button, so the panels covering the floor-mounted well can be flipped up easily and the second-row seat can be collapsed into the well. After the seat is stowed and the floor panels latched down again, another press of the button powers the front seat back to its original position. And speaking of those floor wells, they function as a handy storage bin when the seats are in use. Chrysler also offers removable plastic bins that fit into the Stow ‘n Go storage wells—perfect for those nasty soccer cleats, or for filling with ice as a picnic cooler. In addition to the Stow ‘n Go wells, there are abundant small-item storage bins, pockets, and cubbies dispersed throughout the vehicle—including thoughtful touches such as the molded-in bag hooks on the third-row seat backs and the umbrella-holder “troughs” on the outboard side of the front seats. 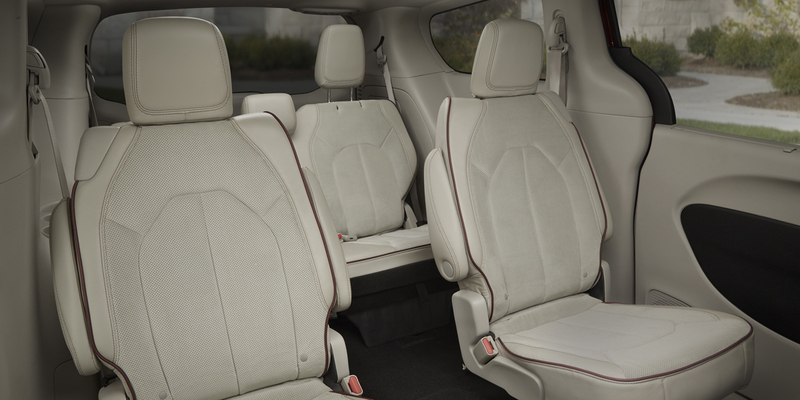 And, big-item storage is great too—fold down the second- and third-row seats, and the Pacifica boasts 140.5 cubic feet of cargo volume and enough open floor space to haul a 4×8 sheet of plywood. A fully optioned Pacifica certainly isn’t cheap. We tested a top-line 2018 Limited model that was equipped with the available 20-inch wheels ($995); Advanced SafetyTec Group ($995); and a Uconnect Theater dual-screen rear-seat entertainment system that comes complete with 20 Harman Kardon speakers, pre-installed games, and pretty much every input jack you’ll need ($2690). Bottom-line price? $49,665. That’s a lot of coin, but the Limited’s high-end interior furnishings and generous list of standard features justify the cost. 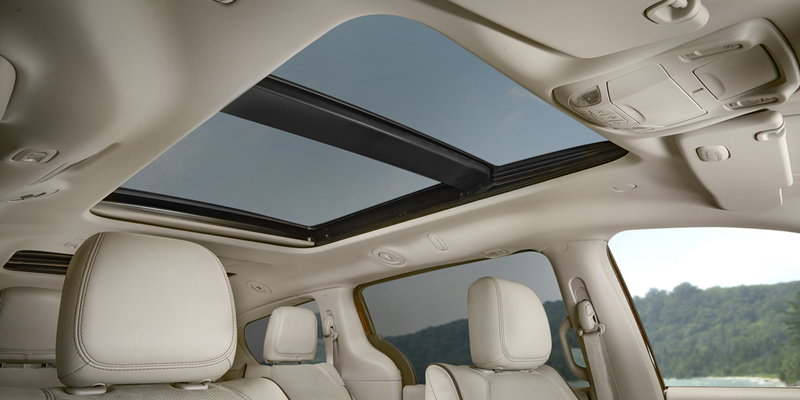 In top-line trim, the Pacifica is a genuinely luxurious vehicle. And in any of its trim levels, it’s very competitive price-wise and features-wise with its class rivals. On top of everything else, the Pacifica is surprisingly stylish for such a utilitarian machine. 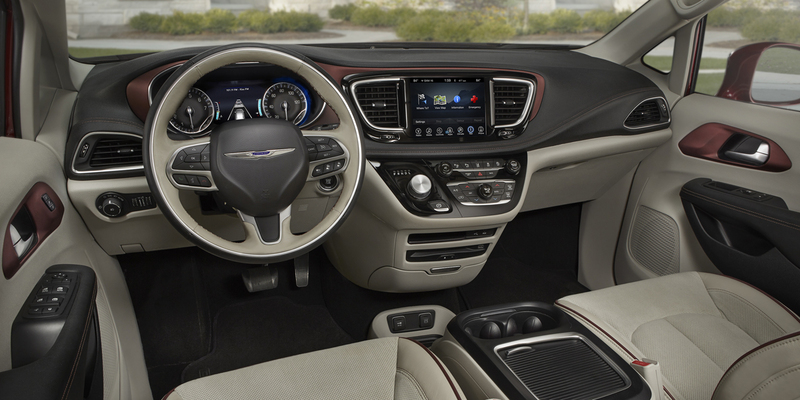 Inside and out, there are swoopy design flourishes that go a long way toward making the Pacifica a “want-to-have” vehicle instead of a “need-to-have” vehicle. About the only thing a family might need that the Pacifica doesn’t have is all-wheel drive and a raised ride height for rough-terrain capability. 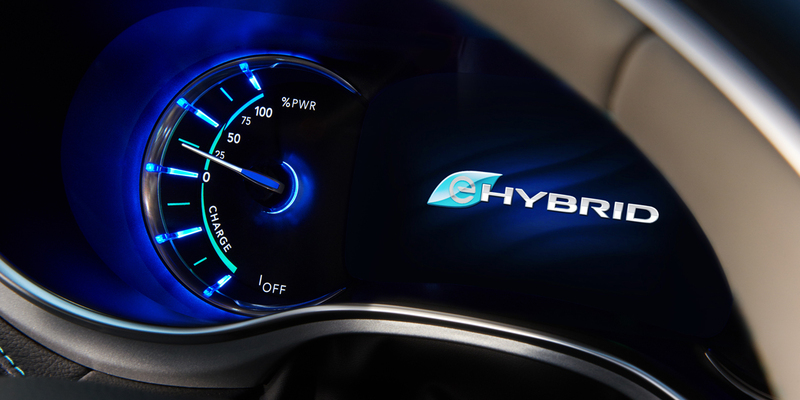 The Pacifica’s other big trump card is its wonderfully executed plug-in-hybrid model. Though the Pacifica Hybrid doesn’t offer the Stow ‘n Go second-row seats (the hybrid battery takes up that storage-bin space), it’s rated at 82 MPGe in combined city/highway driving and has an estimated all-electric driving range of 32 miles—enough to enable many families to go about their daily routines while using hardly any gas at all. We tested a Pacifica Hybrid Limited model and were thoroughly impressed with its performance and economy. In ideal weather conditions, with temperatures hovering around 50-60 degrees Fahrenheit, our indicated all-electric driving range on a full charge was typically 34-36 miles—above the advertised 32-mile range. We also comfortably exceeded the Pacifica Hybrid’s EPA rating of 30 mpg in combined driving; in an 854-mile test that consisted of 75-percent highway driving, we averaged 35.9 mpg. 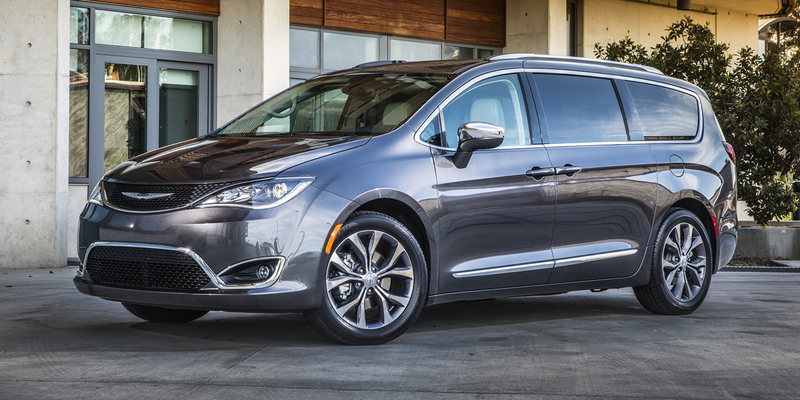 Though the hybrid powertrain is only available on the Pacifica’s upper trim levels (where it tacks on a price premium of around $1000 to $2500, depending on model), its all-around efficiency is unmatched in the minivan class—or in any other comparably priced, similarly spacious family-friendly vehicle.